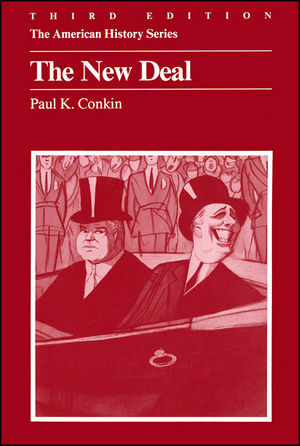 Demonstrating the intellectual excitement that is the practice of history at its best, Paul Conkin's The New Deal is still one of the best known titles in the very popular American History Series, edited by John Hope Franklin and A. S. Eisenstadt. The New Deal is still the best succinct and coherent description of a chaotic period. It is an account of the major domestic policies adopted during the Roosevelt administration. It is also a rich portrait of Roosevelt the man and consummate politician, and the satellite figures around him. This highly interpretive text, with its spirited and often subtle assessments of New Deal personalities and programs, will continue to bring the period to life for new generations of students. Includes extensive photo essay. Paul K. Conkin,Distinguished Professor Emeritus of History at Vanderbilt University, is the author of numerous books.